Founded by the Phoenicians (VII century B.C. ), Sorrento was first a Greek and then a Roman colony. It was subsequently dominated by the Goths, the Longobards and the Byzantines. Thanks to its mild climate, as far back as the age of the Empire many important emperors and rich patricians chose Sorrento as their summer residence having roads and villas built, one of those Villa Pollio Felice nowadays better known as “I bagni della Regina Giovanna” (“Queen Joan’s baths”), the remains of which can still be seen today. Following the French invasion in 1799 Sorrento was governed by relatives of Napoleon, first by Giuseppe Bonaparte and then by Gioacchino Murat. In 1815 with the return of Ferdinando I, King of the Two Sicilies, the city entered into a period of great prosperity becoming a favourite tourist destination. Sorrento is also famous for being the birthplace of Torquato Tasso (1544 – 1595), the great sixteenth century poet, whose works include “Jerusalem Delivered”, “Rinaldo” and “Aminta”. In 1558 Sorrento was ransacked and looted by the Turkish Saracens and its inhabitants massacred. Tasso’s sister was one of its few survivors. This event was the inspiration behind one of his works which was about the first Crusade. 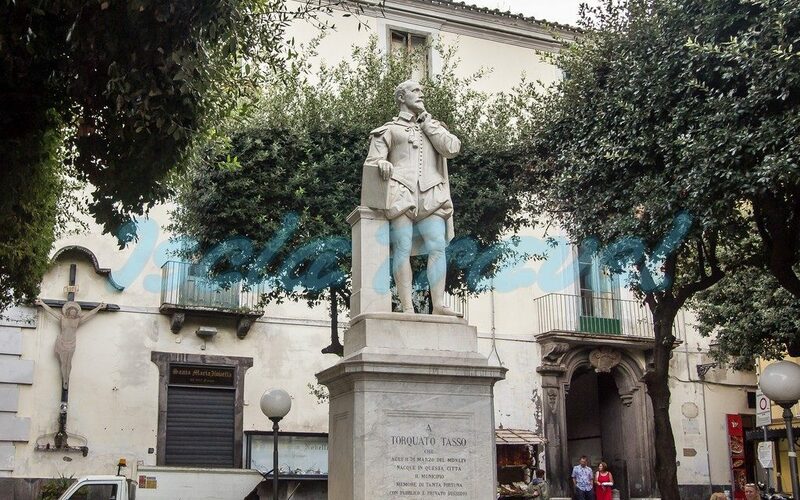 Sorrento’s central piazza is dedicated to Torquato Tasso and his statue is prominently displayed in the piazza. In imperial times, it became the privileged residence of the Roman nobility, as evidenced by the numerous villas along the coast. Sorrento also suffered incursions of the Goths, Lombards and Byzantines, until it was transformed into the Duchy in the ninth century before being conquered by the Normans in 1133. To defend themselves against the attacks of the Turkish solders in the mid sixteenth century, the city built defensive following an ancient Roman circuit. In 1799, Sorrento became part of the Neapolitan Republic, but even then, began to take on the character of a popular holiday resort which still characterises Sorrento today. More information about "Historical Facts about Sorrento "?